Played $25 NL cash whilst I read Molly’s Game and ended up with a balance of £372.99, up about £100. 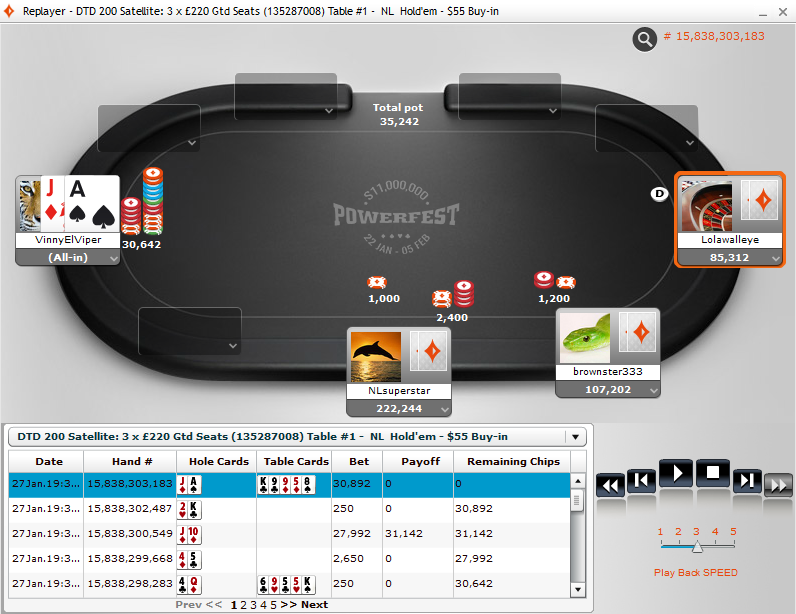 I then played one of my $55 tickets and bubbled the £220 prize when I came 4th with 3 getting payed. I played really well but lost the crucial flip with AJ v 77 of Lolawalleye all-in preflop, terrible to lose £220 on a flip but that is poker. Finished Molly’s Game, it is an interesting read, hopefully one day I’ll find myself in one of these high stakes cash games at a table full of rich fish. Molly got off with probation in the end and 200 hrs of community service, she came across as a tough cookie. Toby McGuire was described in less than flattering terms. Articles here and here. They have also just finished filming the screenplay “Molly’s Game” this January. Film to be released this year I guess.